Muck, soot and pigs trotters | The Dacorum Heritage Trust Ltd.
William Ellis, formerly a brewer from London, moved to the Little Gaddesden area in 1717, after marrying a rich widow. He was shocked by the conservative Chiltern farming methods, hardly changed since the Romans colonised the Gade valley. This discovery provoked Ellis to undertake some simple experiments in arable crop production. 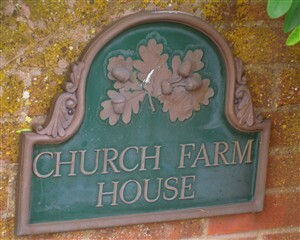 Ellis began farming at Church Farm and its glebe lands in Little Gaddesden, comprising 24 enclosed fields at that time. He found that there were several sorts of soil on his land. Whilst recognising that the valleys were infinitely more fertile than the hills, he argued that Chiltern soils could give good results if they were properly managed. The farmers of the 18th century believed in keeping their soils in good heart and so, in the days before commercial fertilisers, manures of all kinds were invaluable. William Ellis became an author of many books on agriculture and, although he was prone to report gossipy anecdotes and quack remedies for common ailments, he advocated many practices which made sense. He became a valued farm management consultant all over the country and even sold implements and seeds to supplement his income. His monthly guides were published and well received in an era before mass media. Paul Stanbridge, a local farmer of today, believes Ellis was certainly an innovator, but he was also no charlatan. In the Modern Husbandman (1750), Ellis recommended that soot (from London’s many chimneys), as well as coal ashes, ox or cows’ hooves, hogs’ hair, horn shavings and even pigs’ trotters should be ploughed in, to improve the texture of the land. Horse manure was also brought back from London, after the loads of hay or corn had been delivered to the ever-growing city. Chalk was used a great deal to dress the fields and the old ‘chalk dells’ or pits can still be seen today. Lime was obtained by burning chalk and slaking it with water, producing a fine powder. Nothing seems to have been too much trouble to ensure the health and vitality of the land. Urine was a highly valued component and a vine outside a pub in Little Gaddesden benefited from the regulars’ nightly contribution, producing more grapes than any other. But, according to Ellis, the best fertiliser of all was the composted remains of the village privies! Peter Kalm, A Swedish-Finnish scientist, travelled in England and North America in 1748-51, looking at agricultural practices. He meticulously recorded all that he saw and heard, and was very surprised to find that Ellis did not have time to practice what he preached. Apparently, Church Farm was sorely neglected and certainly did not act as a showplace for the methods about which he wrote. The Great Hertfordshire Plough in the 17th century, from Walter Blith’s English Improver Improved of 1653. Ellis lived at Church Farm for over 50 years, becoming well-known both nationally and internationally. A preface to his work in 1772 explained that all the old wives’ tales, colourful characters and gossipy digressions were discarded, since they diminished the value of his agricultural writings. 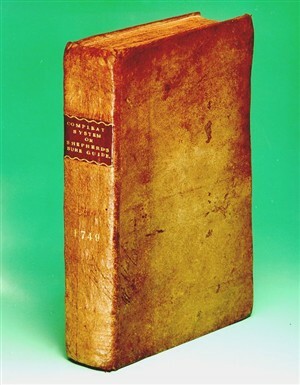 However, Ellis’s books, such as The Practical Farmer (1732) and Chiltern and Vale Farming Explained (1733), had an effect on the nation’s agriculture and he should not be discounted in terms of the so-called ‘Agricultural Revolution’.